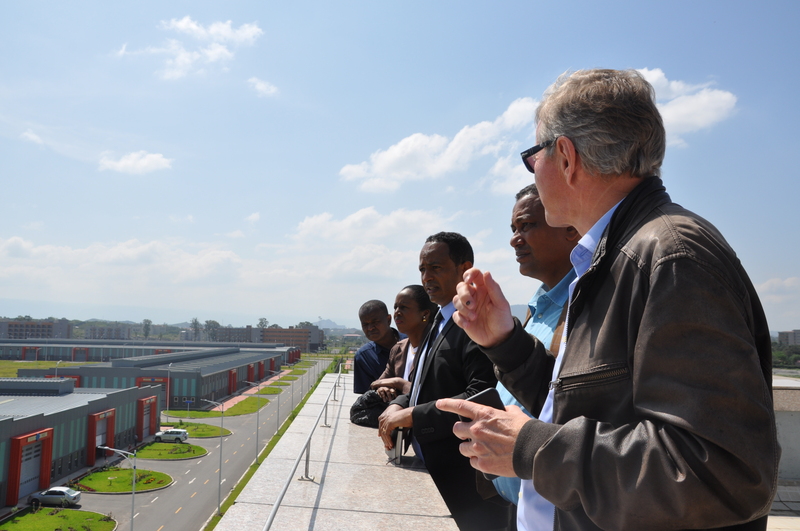 November 1, 2017, Hawassa: IKEA Foundation CEO Mr. Heggenes paid a one day visit to Hawassa Industrial Park(HIP) and met with concerned partners to discuss on future areas of cooperation. His visit is part of a four days tour to Ethiopia. 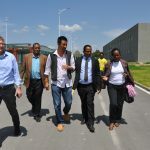 Mr. Heggenes was accompanied by ARRA Deputy Director, Ato Zeynu Jemal, UNHCR Representative in Ethiopia, Madam Clementine Salami and Ethiopian Investment Commission (EIC) Commissioner, Ato Fitsum Arega. Four manufacturing plants were visited including JP Textiles, PVH formally known as the Phillips-Van Heusen Corporation, dress shirt specialist TAL Apparel and sock specialist Isabella Manufacturing PLC.PVH is an American clothing company which owns brands such as Van Heusen, Tommy Hilfiger, Calvin Klein which has several sourcing facilities worldwide including its manufacturing plant in the park. 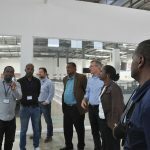 JP (Ethiopia)Textile Company is the only fabric mill in the park currently focused on yarn-dyed product which is currently working on supplying fabric to other garment factories including its first orders from PVH which has its plant next door. Upon arrival at the Park, Ato Fitsum briefed about the attractive services being rendered on site including a one-stop service allowing for a faster decision making which includes all services from banking to visa and immigration facilities, import and export licenses, work permits, and customs clearance. “This will help avoid delays and help companies get their operations up and running without distraction,” said the Commissioner. 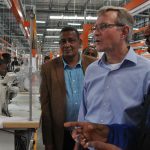 Mr. Heggenes expressed his astonishment of the whole project with a delight and expressed his willingness to working closely with the government of Ethiopia in its efforts to improve the lives of Ethiopians. Ato Zeynu mentioned the importance of IKEA’s crucial role in assisting Ethiopia’s refugee program most notably through its ongoing support to livelihood and income-generating interventions in the Somali refugee camps assisting irrigation schemes helping change the lives of refugees and host communities in Dollo Ado wereda of Somali region. 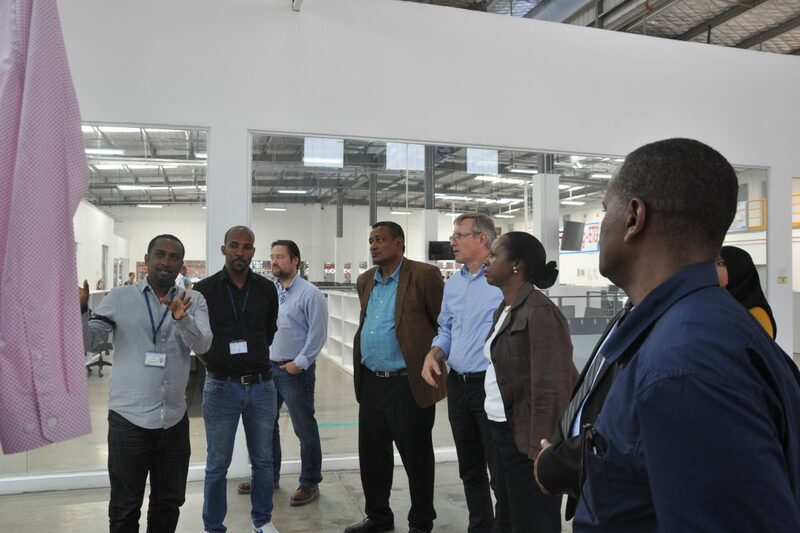 Ato Zeynu seized the opportunity to capitalize on the potentials of refugees who can easily be employed as part of the Ethiopia’s pledge to enable refugees secure employment in similar industrial parks highlighting the various technical and managerial skills refugees have acquired. Madam Salami on her part capitalized on the deputy director’s remarks and called for a more engaged collaboration with concerned partners including the EIC to materialize UNHCR and government efforts to implement the jobs compact to enable refugees become employed in similar industrial parks. 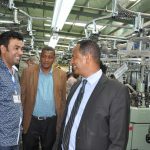 Located approximately 275 kms South of Addis Abab, the HIP hots 52 factories built in two phases which specialize in textiles and garment production. The plants boast cutting-edge infrastructure and equipments with residential quarters fully occupied by expatriate workers. According to Ato Fitsum, the factories are expected to generate an annual export value of 1 billion US dollars by the end of 2018. 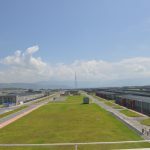 As Ethiopia’s first major eco-friendly development, the HIP complies with a zero-emission standard. There is a zero-liquid discharge facility to purify and recycle the wastewater produced. The IKEA Foundation is UNHCR’s foremost corporate partner. Since 2010, the IKEA Foundation has funded UNHCR projects giving refugees the opportunity to build a better life for themselves and their families. The IKEA Foundation supports UNHCR’s work in Ethiopia. IKEA also makes in-kind donations and contributes expert knowledge.